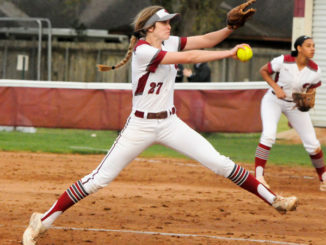 Two traditional softball powers locked horns at Hahnville Tuesday as the Lady Tigers opened their season against visiting John Curtis, and the result was as close as one might expect — actually, as close as it could possibly be. The teams battled to a 3-3 tie, the contest called after seven innings due to darkness. Hahnville rallied back from deficits of 2-0 and 3-2 to knot up the score. Tigers coach Jerry Nugent — who noted the game represented the first tie game he has been a part of in his 20 year coaching career — said it remained to be seen if the two teams would find a mutual open date to determine a winner or if they would accept the tie score. 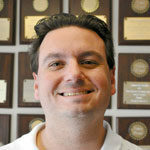 In either case, he was proud of his team’s efforts to come back. 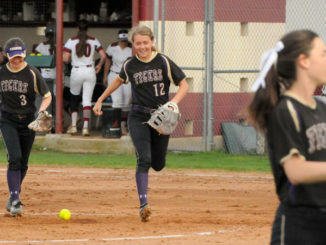 Bayleigh Baudouin led the Tigers (0-0-1) offensively, going 3-for-4 with an RBI. Baudouin also made a pair of impressive defensive plays at shortstop, including a diving catch in the third inning and a backhanded stop and throw out in the fifth. 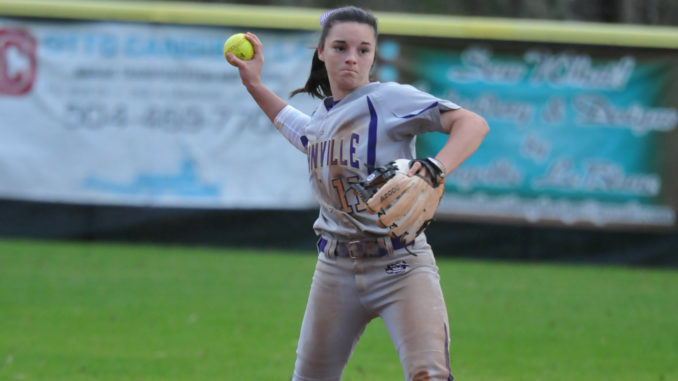 Catherine Friloux went 2-for-3 for Hahnville. Sarah VanEtta went 1-for-4 and drove in a run. Karly Taranto pitched the complete game, allowing six hits and allowing three runs (two earned). She struck out three and walked five. Alyssa Dean led Curtis (1-0-1) at the plate, going 2-for-3 including a two-run home run. Remi Hebert pitched the complete game and allowed three runs (two hits) on eight hits. She struck out three and walked three. 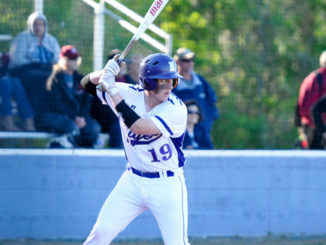 Hahnville tied the game in the bottom of the fifth after RBI singles by Baudouin and VanEtta. Curtis took a 3-2 lead in the sixth when Sierra Sacco scored on a throwing error before Curtis made its own error in the bottom half, allowing Marissa Allemand to score.